Judy Rice, Associate Professor of Performing Arts at the University of Michigan began her training at the Jordan College of Music at Butler University. At the age of 11 she accepted a full scholarship to The National Ballet School of Canada. Upon graduation she continued her studies at the Joffrey Ballet School in New York City where she became a member of The Joffrey Ballet Center Concert Group, which was followed immediately by becoming a member of The Joffrey Ballet. 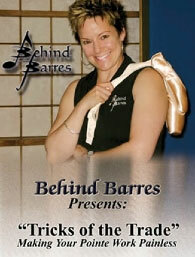 She has also served as guest teacher for many regional companies and studios across the US and Canada. Click here for full details and video previw! Judy Rice and Paul Lewis create fantastic music for ballet instruction - Listen to clips and hear for yourself!